Scotland meets Ireland with a Hungarian intervention this week as Dave Broom scrutinises six new whisky releases. 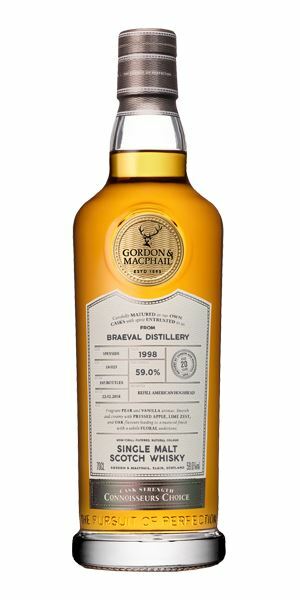 A damp, bready Braeval bottled by Gordon & MacPhail starts us off, though its ripe apple, ginger and caramelised fruits limp sulkily on the palate. ‘Maybe just drink it quickly (but responsibly),’ says Broom. 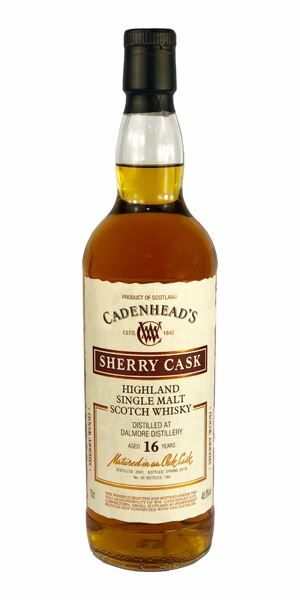 It’s followed by another indie bottling, this time a 16-year-old Dalmore from Cadenhead, which proves to be dry, sappy and ‘foosty’ despite some showing from the distillery’s classic dark fruits. 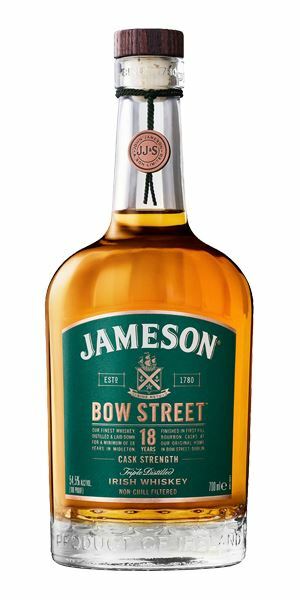 Hopping across the Irish Sea now to a new 18-year-old Jameson, made as an homage to the old Jameson distillery in Dublin’s Bow Street. Rich and complex, with layers of tobacco, strawberry jam, fruit leather and oak, it’s ‘showy’ says Broom, with a kick in the shins. We’re nipping back to Jura for a spell, with the latest community-inspired bottling, One For You, made to honour Jura fans across the world. Its alluring fragrance and crunchy yet creamy texture is one to sit on and share with friends. 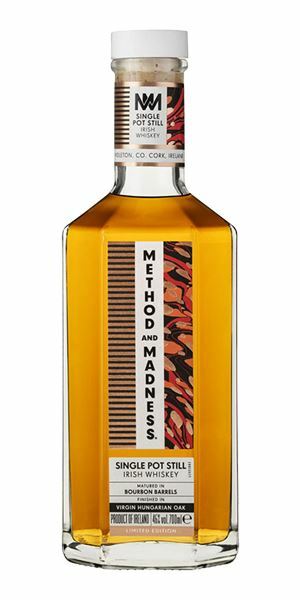 Back to Ireland now to Midleton distillery and a new addition to its Method & Madness series. A single pot still whisky, matured in American oak casks, is given a virgin Hungarian oak finish, which is appley and spiced yet far less aggressive than you’d expect for so much wood. Our final stop this week is the most northerly whisky distillery on the Scottish mainland, Wolfburn. The latest release from this fledgling distillery is hot, lemony, floral and sugary, albeit a tad hot – make sure to add some water! As always, this week’s reviews come hand-in-hand with a bespoke playlist, provided courtesy of Buffalo Springfield, Simple Plan and Mote Dust. There’s some weight here – which is unusual to see in a Braeval – thanks to a rich aroma of super-ripe russet apples alongside herbal and grassy notes, light graphite, damp face flannel, a light wholemeal dustiness and, in time, some cedar wood. It’s all rather pleasant to start with, but then it seems to die and get slightly sulky. That fade continues when water is added. It all kicks off in the same optimistic way, bright-eyed and eager. A pleasing, slightly singed quality to start with, with some bready elements, ginger, then supple caramelised fruity elements that stir in chewy toffee, but then the oak starts to force its way in and the mood saddens. Water brings out peanut and while there is some mid-palate weight and florals, there’s no anchor and things just slip away and flatten. This emo whisky is destined for Asia and Oceania. A great start, but it can’t maintain the pace. Maybe just drink it quickly (but responsibly). I know you’re suffering from ennui, but no-one’s Perfect. A different nose (and colour) to most of the original bottlings, with more mealy elements (toasted oatmeal) with some sappy, green elements: a hothouse filled with tree ferns and old tomato vine. Water makes things drier, with a slightly foosty quality. Now you get the glossy fruit you’re more used to: blackcurrant, blueberry, raisin, while the dry elements which dominated the nose hang back until the finish when they start to grip, generating a drying quality which mixes walnut skin and fresh fruit. Water dries it up and adds a slight astringency. There’s a disconnect between nose and palate. Walking down some Hot Dusty Road. A generous style of Jameson. There are some macchiato elements to start with, alongside firm wood, some blackberry and strawberry jam, fruit leather juiciness, tobacco, then blood orange and rich oak tones binding it together. Maybe it’s slightly too oaky? Water brings out a phenolic (not smoky) note along with ripe fruits, currant and mature, rich pot still elements. A rich, sweet start with sultana, some toffee, then freshly-picked black fruits and cooked apple. The tobacco element starts to come through, eventually becoming the dominant player in time alongside dry-roasted coriander and clove. With water, there are more Bourbonesque, oak-driven notes with spicy cherry tobacco. A mix of caramel and light red fruit. Made in homage to the old Jameson distillery in Dublin’s Bow Street. It’s showy, but holds together well. Comes at you no holds barred, a right Shin Kicker. A gentle, bouncy opening: all apple sponge and warm custard, Caramac bars, some almond and nougat. Sweet and instantly appealing. Water brings more of an estery element, banana especially, a slight oily back note and, in time, the sillage of Chanel No. 5, burnt butter and a malty element. There’s plenty of citrus to kick things off things off developing alongside dried peach, maple syrup and that buttery note. 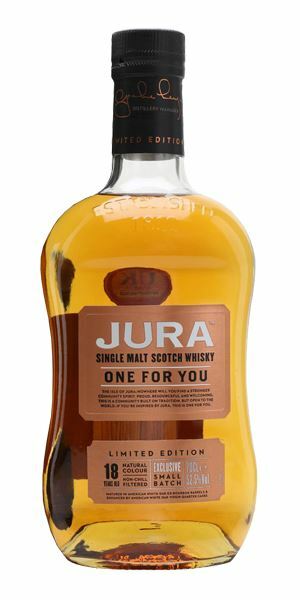 There’s subtle depth here, and none of Jura’s rigidity. Instead, the maltiness only adds a crunchy textural quality offsetting ripe banana, cream and lily. Water slows things down, but without losing that sweetness. Rounded, creamy and soft, with some cinnamon. It might not be amazingly complex, but it’s a damn fine glass. Recommended for an afternoon session. Throw away the cork! A gentle world of Marigolds and Tangerines. Very light pot still here, more on the green apple side of things. The front is all raspberry leaf, orange peel (plus pith), nutmeg, Oolong tea, coir matting and – with water – bamboo, a light gluey thing and pine sap. Soft and refined with none of the aggressive oak which you might expect from virgin wood. There is a lot of sweet baking spices here (allspice, cinnamon, nutmeg and mace). The mid-palate is creamier with some woodland notes such as green acorns, dry leaves, and this slight rustling dustiness continues towards the finish. Water helps to bring out some subtle, mouth-coating oiliness. Sweet and soft with light spicy oak. All in all, quite restrained and not at all mad. There is method however. Wandering through the Humming Forest. Ouch, that’s hot! There’s some discernible lemon puff in there and a sweetness, even a hint of ozone freshness, while behind there’s some charred rootiness. That said, as it’s slightly hard to get into it makes sense to add water rather than struggle. It opens the citric elements up, along with nemesia, some creaminess, fresh-cut grass and the sweetness of cow’s breath. The florals continue to lift, moving into wild rose and cherry blossom. Gorgeous, sweet and fragrant start, although the heat kicks in quickly obscuring what seems like a (hot) sugar-coated doughnut. Once again water helps allowing the sweetness to come through now, with some nuttiness making things generally softer and more approachable with just sufficient of the lemony acidity to add some bite. Hot when neat, then pineapple and lemon. 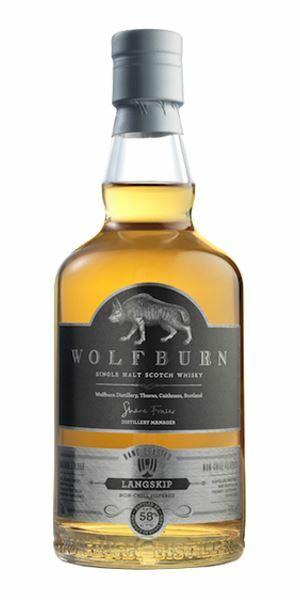 It’s another winner from Wolfburn. A wolf in the burn, and Wolves in the Valley. 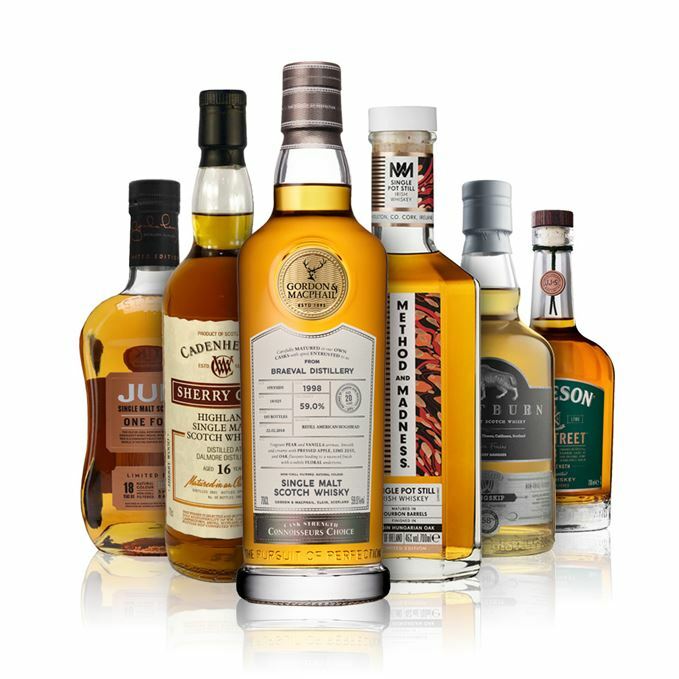 Batch 164: Diageo Special Releases 2018 03/09/2018 The annual line-up, featuring a handful of rarities alongside a number of old favourites. Batch 162 24/08/2018 Two 90+ pointers from Adelphi, The Famous Grouse’s Cask Series, plus Tomatin Moscatel finish.